controller can be firmly installed into the heating systems during production. The compact and robust design makes space-saving installation possible. 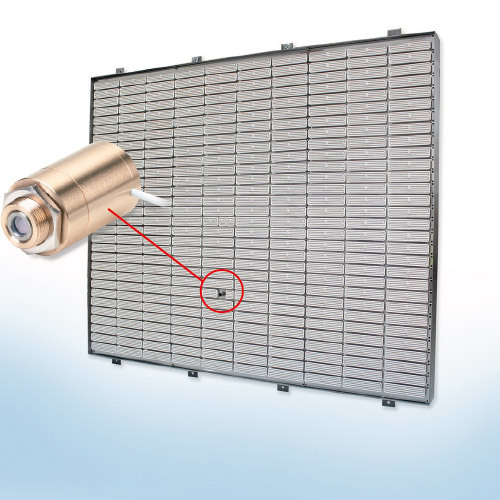 The sensor head is robust against high temperatures allowing the sensors to be fixed inside the heater housing looking directly at the object to be heated. The measurement is performed on a non-contact basis as direct surface contact via temperature probes would damage the component and is also not normally practical. The infrared elements equipped with Micro-Epsilon sensors offer precise and repeatable process control of the end products. Therefore, the reject rate can be minimized while the controlled temperature regulation has a positive effect on energy consumption.